A qualified retirement plan (“QRP”) offers one of the most attractive tax shelters available today. A qualified retirement plan (“QRP”) offers one of the most attractive tax shelters available today. If you are self-employed or have a business entity and want to have tax-advantaged planning and ultimate control over your funds, then a qualified retirement plan provides the perfect solution. Congratulations, you have worked hard and now get to enjoy your retirement, or maybe you are thinking about setting money aside for the future. Under a Qualified Retirement Plan, we can make sure that the money and assets you have set aside for retirement are protected in the same way as an IRA would be in your home state. In a Qualified Retirement Plan, not only are your funds protected while they are in your plan, but your distributions are as well. This retirement plan is one of the best asset protection tools in existence, and there is no reason why you should not take advantage of it. There are some legal rules concerning constructing a Qualified Retirement Plan but there is no need to worry; our experts are here to help you with them. 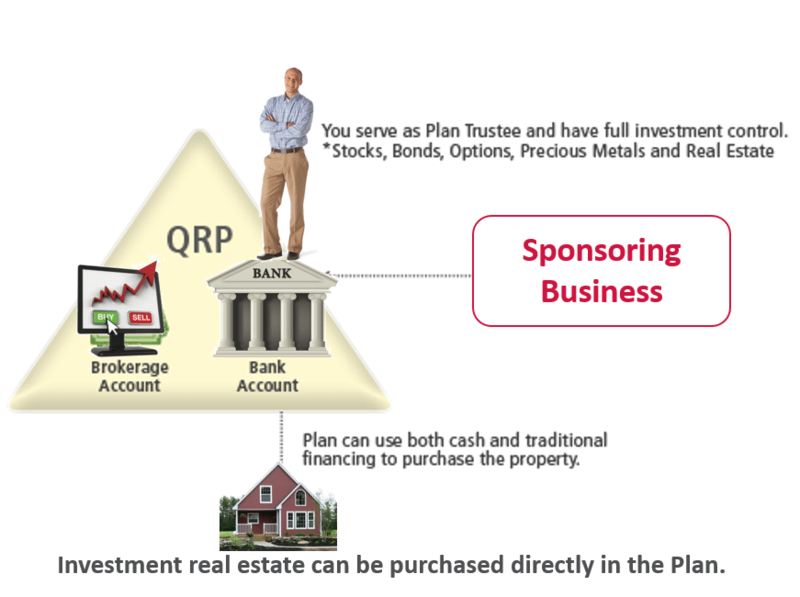 You can serve as the plan trustee of the QRP. As plan trustee, you will have full control to invest your retirement account as you see fit. Unlike an IRA, you do not have to run your investment transaction through a custodian and hope the custodian gets back to you in a timely fashion. There are few limitations on the types of investments that can be made. Our clients utilize their QRPs for investing in stocks, bonds, options, futures, and currency; as well as real estate transactions such as rentals, tax liens, tax deeds, and hard money lending. Unlike IRAs, the QRP is governed by different tax laws and has the ability to acquire real estate using traditional mortgages without the 35% adverse tax consequence of UDFI. Since you can create your QRP at any bank or brokerage firm, you greatly lower the cost of administration since you avoid IRA custodian fees. 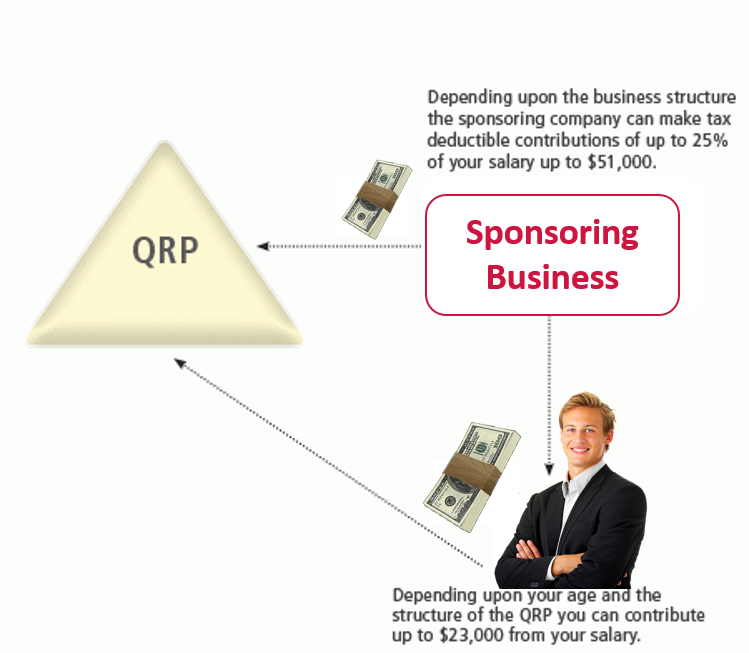 With a QRP you have the ability to create tax-deductible contributions for both you and your business. The tax-deductible contributions to your QRP will grow tax-deferred allowing you to take full advantage of compounding returns. Once you elect to take plan distributions you will pay tax at your then current tax bracket on the funds. You have the ability to begin penalty-free distributions between the ages of 55 and 70.5. Once you reach 70.5 you must take the required minimum distributions from the plan. The power of tax-deferred growth: If you invested $10,000.00 per year for 30 years in a tax-deferred vehicle at an interest rate of 15%, you would end up with $5,000,000.00 after 30 years compared to $1,500,000.00 if the investment was subject to taxes. This is a net increase in the retirement account value of $3,500,000.00. If you adopt a QRP that allows Roth contributions, you do not receive an upfront tax deduction but the funds will be distributed to you as tax-free income. 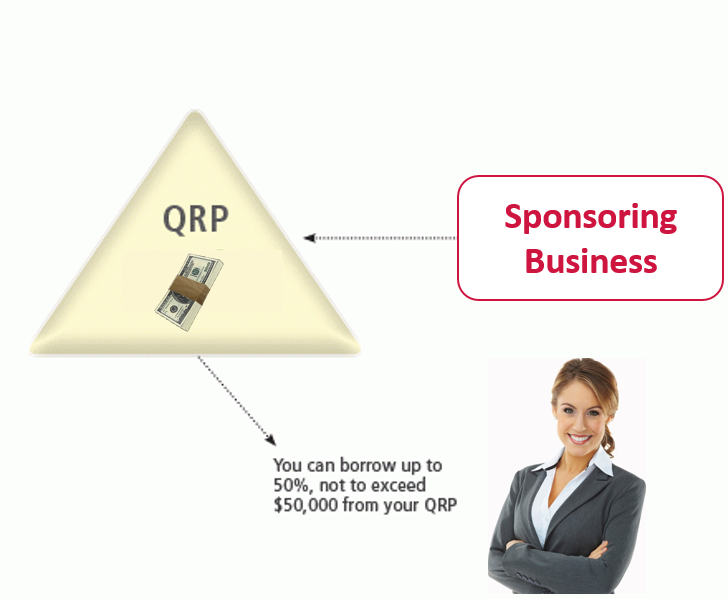 The QRP allows you to make both tax-deductible and after-tax contributions. The after-tax contributions are made by you as an employee. These after-tax contributions are currently almost 3 times what you can contribute to a Roth IRA on an annual basis. If your business needs additional tax deductions it can make tax-deductible contributions on your behalf to a tax-deferred account. The benefit of this planning opportunity is that you can create both tax-free and tax-deferred retirement wealth. The key feature of the QRP is that you and your business have full discretion on the contributions depending on income availability for a given year. You may roll over funds from an existing qualified plan or a deductible IRA into your QRP. This gives you the ability to access all of your retirement funds from one individual or pooled account. If you are married, you and your spouse can pool your funds in one account to permit even greater investing. Need some extra money? 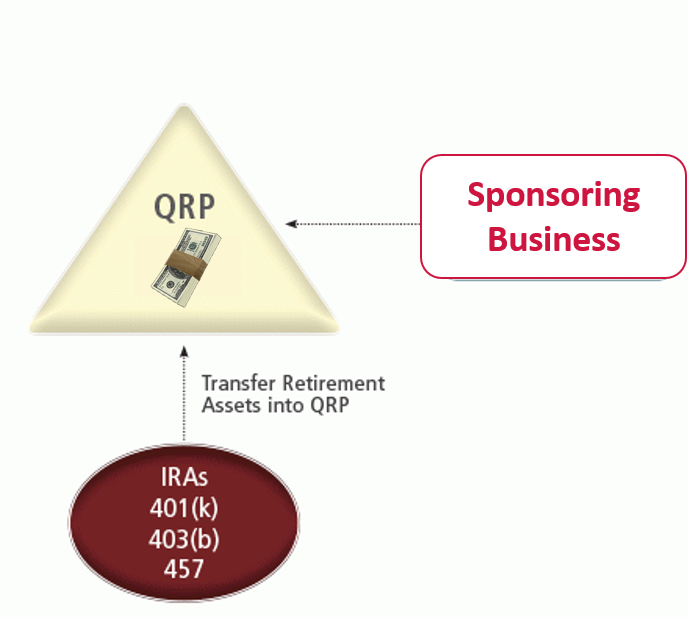 Unlike an IRA, you can borrow from your QRP without penalties or taxes. As a participant you are able to borrow up to 50% of your vested plan balance with a maximum cap of $50,000. This loan is treated as a plan investment and you pay the loan interest back to your plan instead of a bank or credit card company, thus enabling your plan to make money on your loan. Unless the loan is for the purchase of a primary residence you pay your loan back quarterly for up to 5 years. Speak with an Anderson Professional Advisor to get your retirement planning blueprint to determine the best plan for you and your unique situation.